Greg Alton is the Project Coordinator for our Beaver Homes & Cottages packages. He is a licensed carpenter with over 35 years in the construction field. \r\nHe will not just sell you the plan for your project, and then leave you on your own. \r\nGreg will be there throughout your build, to help you with advice on the initial design work, help you through your concerns and advise you about energy efficient systems, green product choices, and new innovative products to build economically and efficiently. \r\nGreg will supply you with complete material package specifications and pricing, and discuss with you payment options and scheduling of deliveries to your job site. \r\nSo, if you are considering building a new home, cottage or garage give Greg a call, and ask how he can help. Milton Home Hardware Building Centre is a dealer-owned & operated business located in Milton Ontario. As far back as 1893, the residents and businesses of Milton have shopped at their local hardware store. While the location and owners changed over the years, the store continues to provide the products and great customer service that you would expect from your local Home Hardware. With the wide assortment of products that we stock and a limitless amount that can be special ordered to meet your needs, Milton Home Hardware Building Centre can be �your one stop shop� for your project. 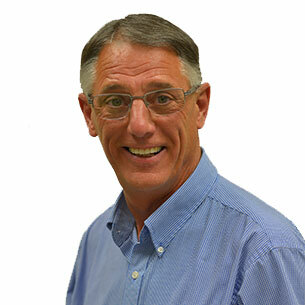 Our Project Coordinator Greg Alton, specializes in Custom homes, cottages and garage designs and material packages. Greg is a Beaver Homes and Cottages consultant and can help you attain your dream project with one of our models or a custom design. Greg has worked with local clients building cottages or new homes in Muskoka, Arthur, Tweed, Balm Beach, Fort Erie, Puslinch Township and of course right here in the Milton area. WE DELIVER! Whether you are a contractor or homeowner, Greg and Milton Home Hardware can help bring your dream to reality, on time and on budget.